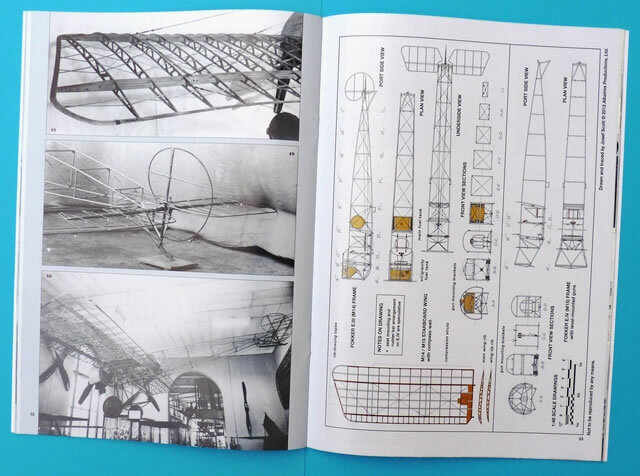 Advantages: An impressive collection of photographs, many hitherto unpublished; accurate 1:48 scale drawings of each aircraft type, including engines and armament; inspiring all new colour profiles; informative text that is easy to read and complimented by revealing captions. Conclusion: This is the package that all Eindecker fans have been waiting for. The author’s knowledge on the subject is widely recognised and he does an excellent job of sorting through the available data. As such we get a comprehensive package that allows the aficionado to understand the many features and nuances of this pioneering series of aircraft. 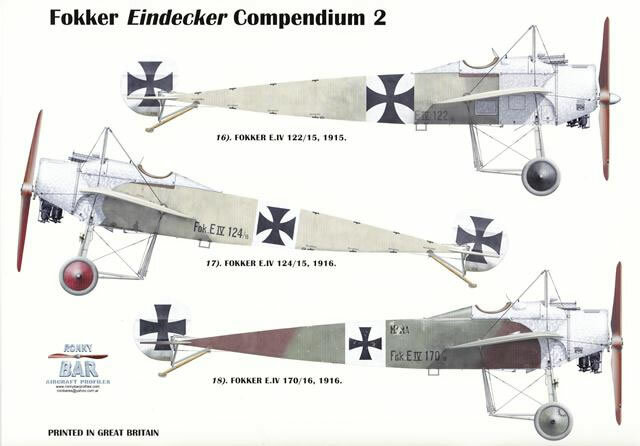 The Fokker Eindecker has always been a source of confusion to enthusiasts. 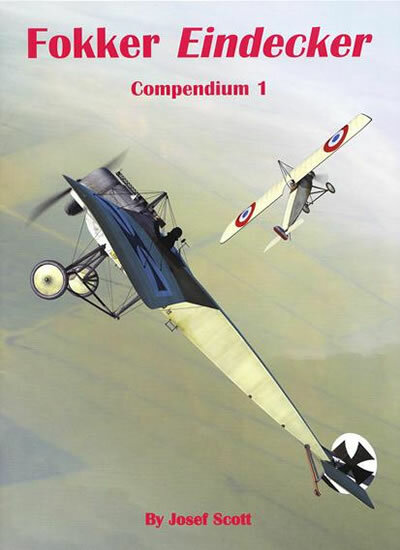 Josef Scott has spent many years researching the series, with his focus being on the practical aspects of these aircraft. With so many myths surrounding these machines, sorting out the technical details can be a potential nightmare. Not to mention the problems of differentiating the nomenclature. For instance, researchers have to deal with Fokker and Idflieg records that can’t agree on various airframe measurements and even Allied capture reports contrast on ostensibly simple details. The author has gathered together a wealth of material to sort out these differences and sensibly the knowledge base has been split over 2 volumes. Each contains 56 pages between the soft card covers and the A4 format is a perfect way to present it. The first compendium introduces the reader to the lineage and does so via 56 period images. These cover both the A.I and A.II, with the text describing their genesis and subsequent development. The E.I follows with a further 50 black and white images and more of the intriguing narrative that helps define the series. The photographs in the book are superb. Most are printed two or three per page and many are published here for the first time. The clarity is exceptional considering their age and the large format of the publication allows readers to glean maximum detail from each image. Each photo is accompanied by an extremely informative caption that complements the text, rather than just repeating it. One of the hallmarks of the series is the scale drawings, which fittingly the author has done himself. These accurate and detailed views are presented in 1/48 scale and are also in colour. 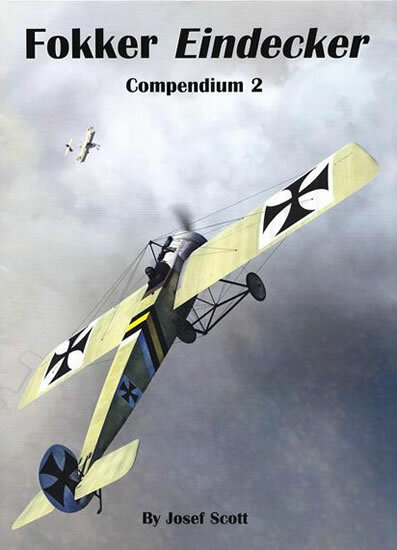 This volume covers the Fokker A.I/A.II and E.I, the latter in both Parabellum and “Spandau” armed versions. Extra side views show yet more variations of the E.I, thus leaving little to be desired by even the most fastidious modeller. An added bonus are drawings for the Oberursel U.O 80hp rotary engine. The second volume is just as comprehensive and completes the coverage of production types by dealing with the E.II/E.III and E.IV. Another superb collection of images are devoted to these types with 25 representing the E.II, 50 allocated to the E.III and 38 assigned to the E.IV. 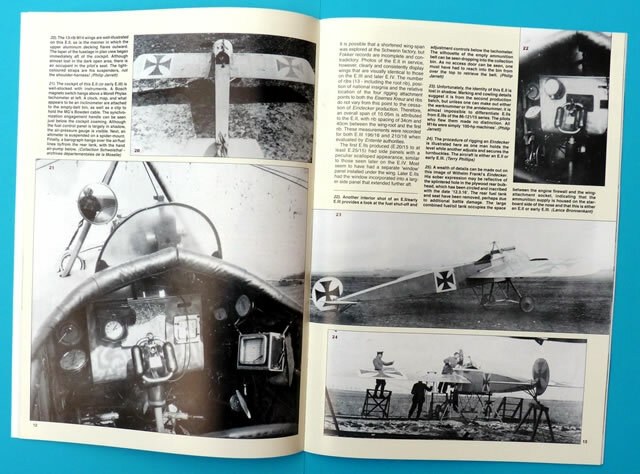 As per volume 1, they are an eclectic assortment of photographs that detail not only the airframe, but feature close-ups of the engine, cockpit and armament. 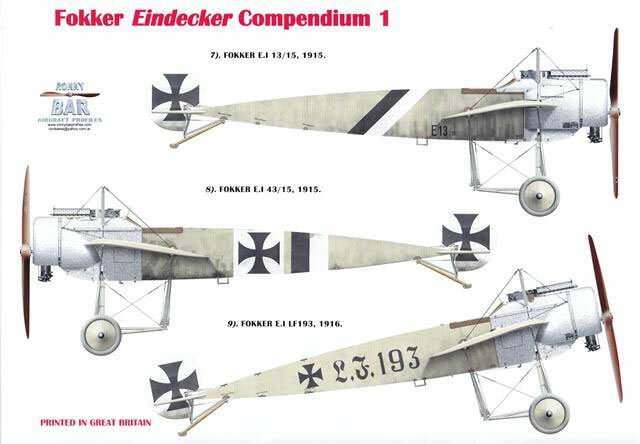 Scale drawings abound with both early and late production E.IIs, main production E.III and the less than successful Fokker E.IV, all being considered. Once again these are the competent work of the author who also contributes with views of the aircrafts’ internal framework. 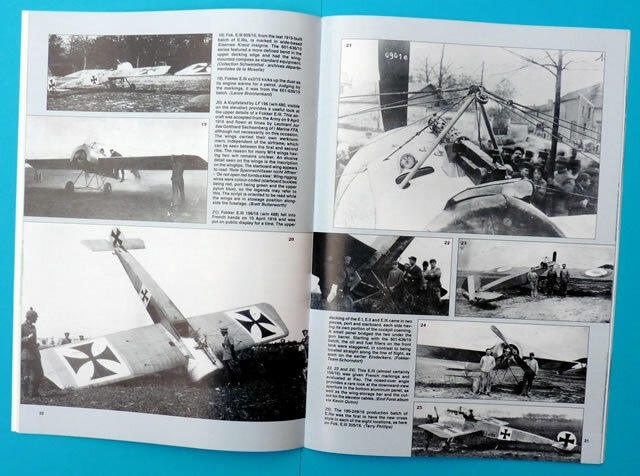 While the Oberursel U.0 was focused on in the first compendium, this issue contains drawings of the Oberursel U.I 100hp and Oberursel U.III 160hp rotary engines. The armament of these machines is not forgotten and more scale artwork comes in the form of drawings for the IMG 08 machine gun. Both publications each come with 9 lavish colour profiles. These come from the desk of the indefatigable Ronny Bar and feature all of the types discussed in these books. Not to be outdone, Jerry Boucher supplies the evocative images seen on the covers of each volume. The appendices round out both publications with tables reflecting the production figures of each type. I had been looking forward to these publications for a while now and the wait has been worth it. They do not replace previous releases in the Albatros Productions Datafile series. Those issues covered more of the operational and development history whereas these compendiums delve into the specific features and nuances that characterised each type. The author has done a commendable job demystifying these aircraft and more importantly, has been able to put it all into print for the benefit of a wider audience. 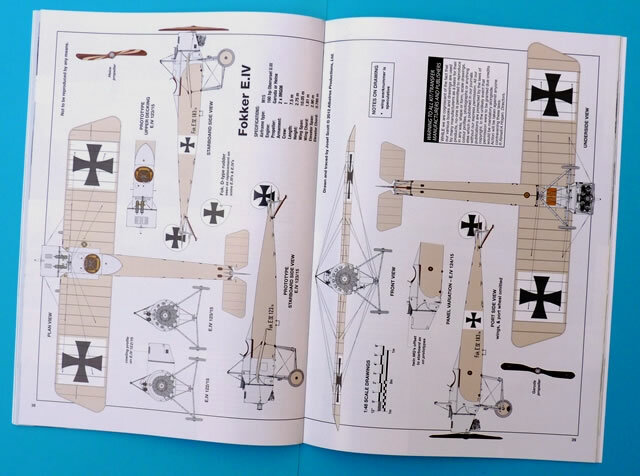 It’s essential reading for anyone interested in this famous German monoplane and nicely timed for the recently released kits from Wingnut Wings.